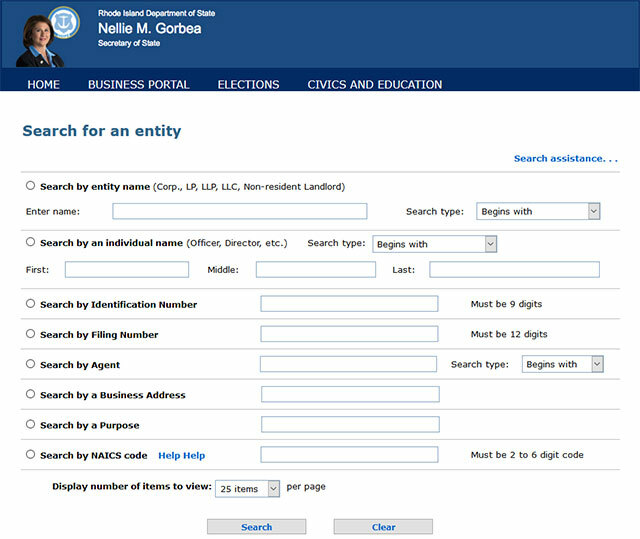 A proper search method is what is required for getting access to every minute detail in the corporation registry of the Secretary of State of Rhode Island. The online business search befittingly combined with our easy to follow step by step process would bring you results within no time. 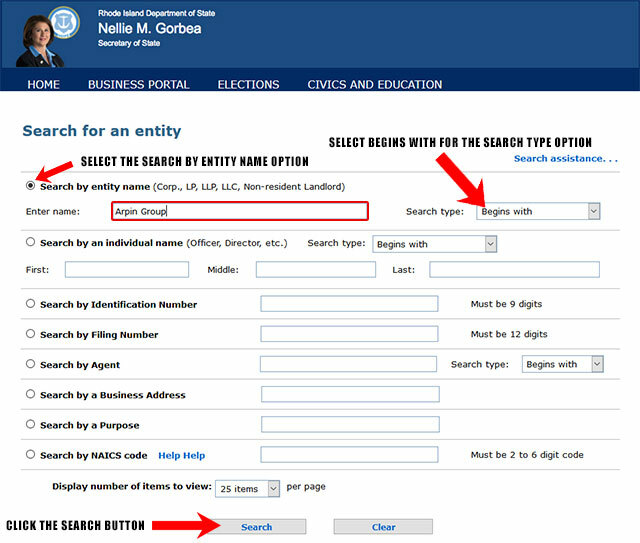 Below is a step by step guidelines on how to use the Rhode Island business search tool. 1. The first step is to access the Rhode Island business search page by clicking here. The page looks similar to the screenshot below. 2. On this business search page, they provide the ability to search by entity name, individual name, identification number, filing number, agent, business address, purpose or NAICS code. For this example we will only search by the entity name. So go ahead and select "Search by entity name". From here type "Arpin Group" in the "Enter name" field. They also provide the ability to widen or narrow your search with the "Search type" drop down field where you can search by name that begins with, exact match, full text, soundex or inactive. For this example select "Begins with". Once you have done this go ahead and click the "Search" button as shown in the screenshot below. 3. Once you click the "Search" button, you will see a list of results that match your search criteria. They will display the entity name, ID number, NAICS, status and address for each business entity listed. 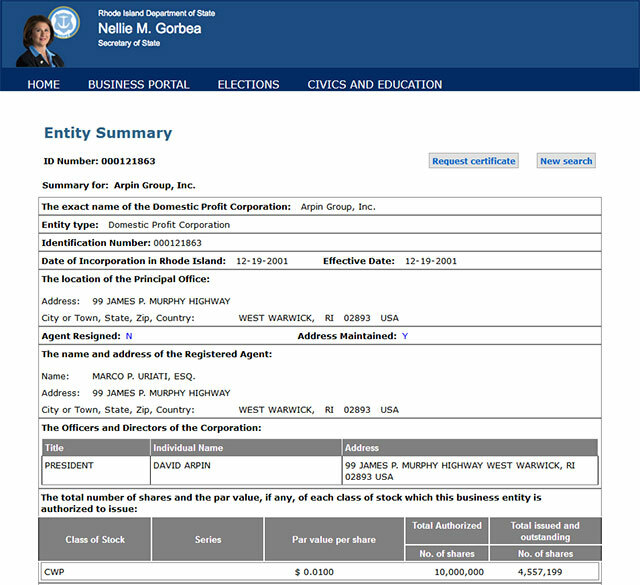 To view the details for a business, click the entity name as shown in the screenshot below. 4. When you click the entity name to view the details, they will show you the ID number, entity type, their date of incorporation, location of the principal office etc. You can see this in the screenshot below. 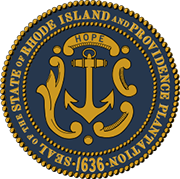 The Secretary of State of Rhode Island is one of the constitutional offices in the US state of Rhode Island that is involved with a number of public affairs of the state. It is an elected office for a term of 4 years. 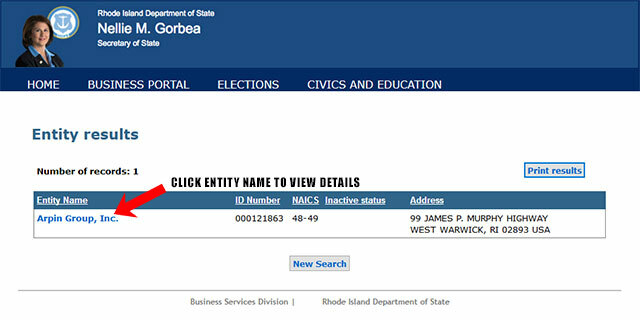 The current office holder is Nellie Gorbea.